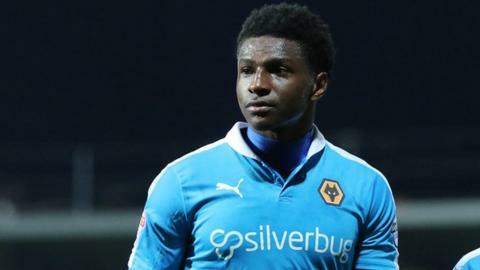 Defender Kortney Hause says his long injury lay-off made him question whether he would regain his place in Wolves' first team and return to England Under-21 duties. Hause, 20, missed four months with a torn hamstring, but has since won back his Wolves spot and been recalled by England U21 boss Gareth Southgate. "It's quite mentally tough being out for a long time," Hause told BBC WM. "I've played some games since coming back and I feel very good." Hause was an ever-present figure at the start of the season before suffering his injury in Wolves' 3-1 home defeat by Middlesbrough in October last year. He aggravated the problem a few weeks later and did not make a return to action until late February. And four games into his comeback Hause, along with team-mate Dominic Iorfa, is celebrating a call-up to England's Under-21 squad for the European Championship qualifier against Switzerland next Saturday. "I'm happy the FA and England have seen comeback and called me up - I'm grateful," Hause said. "Maybe I did rush it back the first time, but now I know how to deal with it if I ever get any more injuries."